5 section stand with a built in boom-arm. 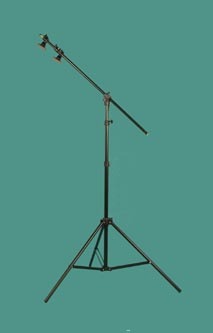 When used as a conventional stand it extends up to a height of 4 metres (13ft). A built in joint allows its top two sections to be converted to a boom arm with a 1.5 metre (5ft) extension. 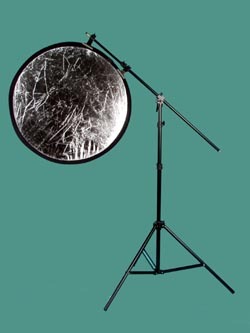 When using this stand to hold a lighting head at an angle, a suitable counter weight should be employed.